Patients often are overwhelmed with choice and procedures available. However, by focusing on individual areas, causes of concern become more obvious. Each individual area of the face should be examined, and treatment can be tailored to the specific areas identified by the patient. Eyelid surgery can also beautify the face by removing excess skin or “bags”. Facelifts can restore sagging skin to a more rested and youthful position, while liposuction will remove accumulations of unwanted fat from the face and neck. Cheek and chin implants can be used to give the face a youthful and aesthetic appearance. Hair restoration can be performed in both men and women and can impart a natural, youthful look. Here you will find answers to the questions we get asked a lot! Everything you need to know about your surgical procedure with Dr. Sclafani. Is surgery right for me? Discusss your surgical procedure with Dr. Sclafani. 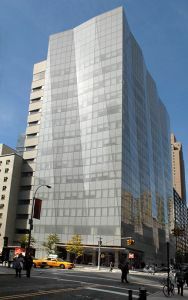 (March 2018) –In order to continue to offer my patients the highest level of care and the latest and most effective cosmetic and reconstructive facial treatments, I am pleased to offer services as part of the Department of Otolaryngology- Head & Neck Surgery at New York- Presbyterian/Weill Cornell Medical Center as the Director of Facial Plastic Surgery. New York-Presbyterian’s dedication to providing patient-centered care of the highest quality is a perfect environment in which I can care for my patients and allows me to partner with colleagues from my and other departments in a world- class system to deliver true state-of-the-art medical care. As Professor of Otolaryngology at Weill Cornell Medical College, this opportunity has allowed me to continue to focus on patient care and teaching, and additionally has provided me with opportunities for collaborative research in the Medical College. I am pleased to continue to provide patient care in a state-of-the-art facility on the Upper East Side of Manhattan as well as continuing to care for patients in the Chappaqua office. Copyright © 2018 NYFace.com. All Rights Reserved.